Store up to 20 of your own custom graphics or logos and get them on air in seconds! Simply upload the files from the media management page of the software control panel into the ATEM’s media pool, then select any file to play through the 2 built in media players when you need them. The media players use flash memory, so your graphics are saved after the power is turned off! There’s even an included Photoshop plug-in that lets you upload graphics from Photoshop directly into the ATEM media pool from a computer over an ethernet network. Now you can get custom titles and graphics on air in seconds. 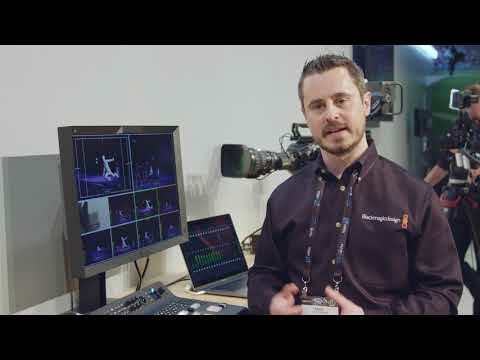 The ATEM Television Studio Pro 4K model includes the new ATEM Advanced Chroma Keyer for better control, image sampling, foreground color and spill correction for more seamless chroma keying. 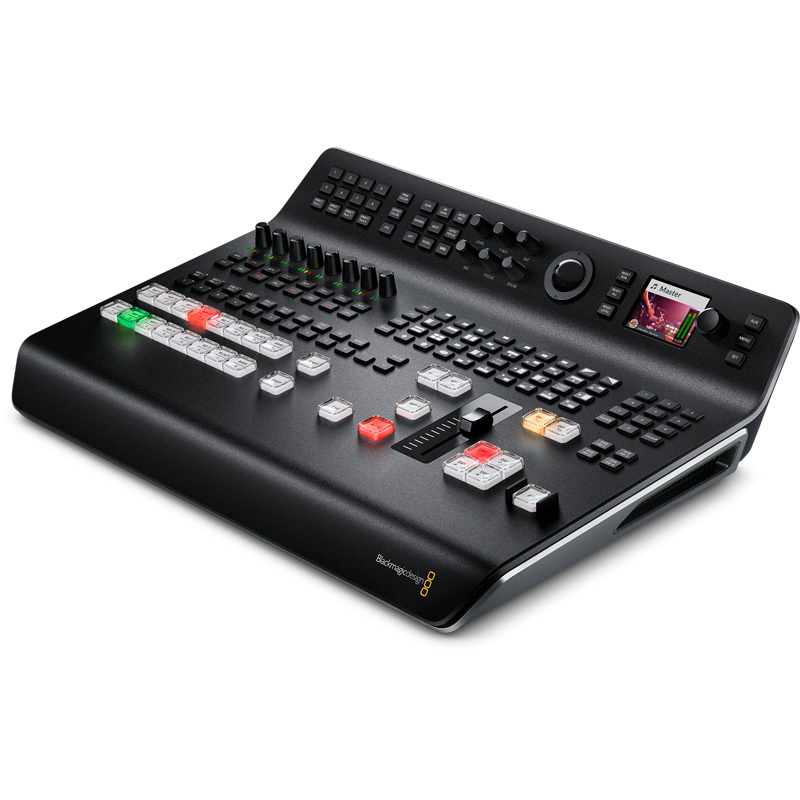 You also get 2 downstream keyers for adding graphics, logos and bugs to your video. 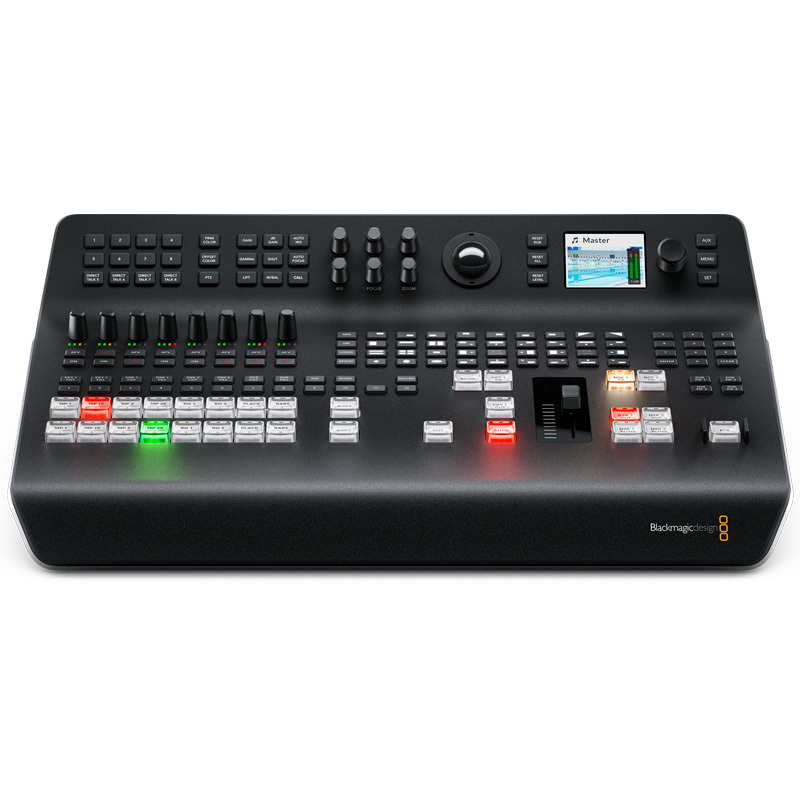 You can even install a HyperDeck Studio Mini as a source for ProRes 4:4:4:4 motion graphics files with alpha channels that you can key over your live video in real time. 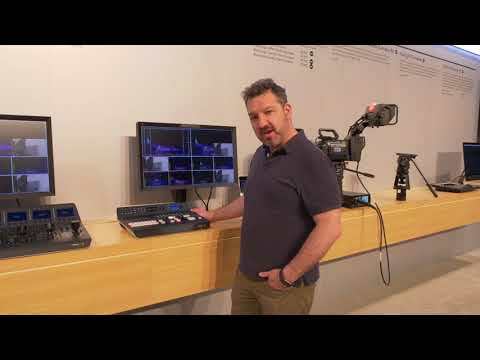 Get full control of your cameras right from the ATEM software control! 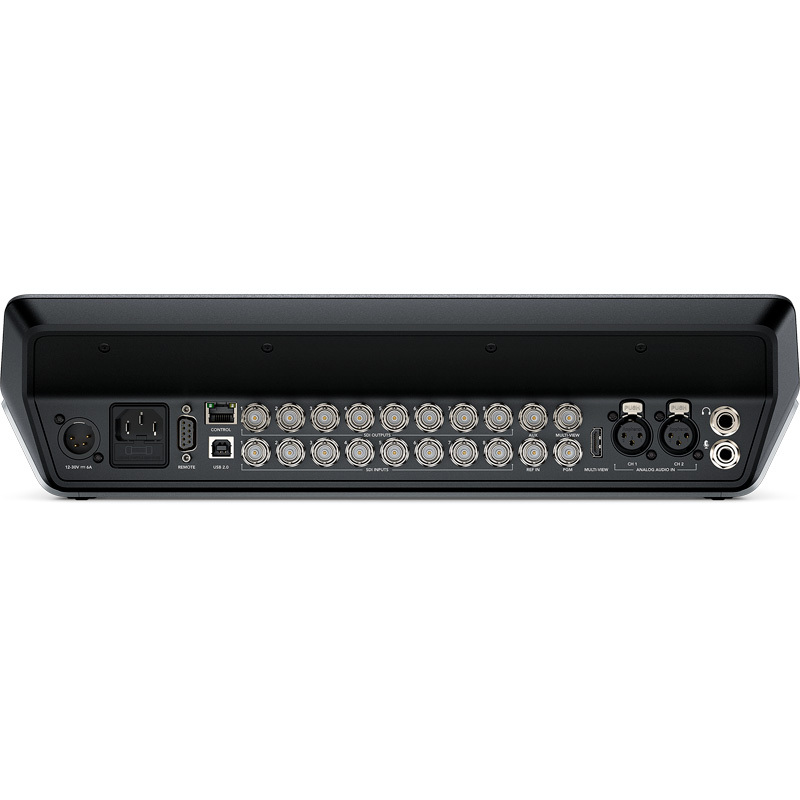 The Blackmagic Studio Camera can be controlled via the SDI program feed to the camera, so you can control its built in camera settings and full color corrector, all remotely from the ATEM software control panel! 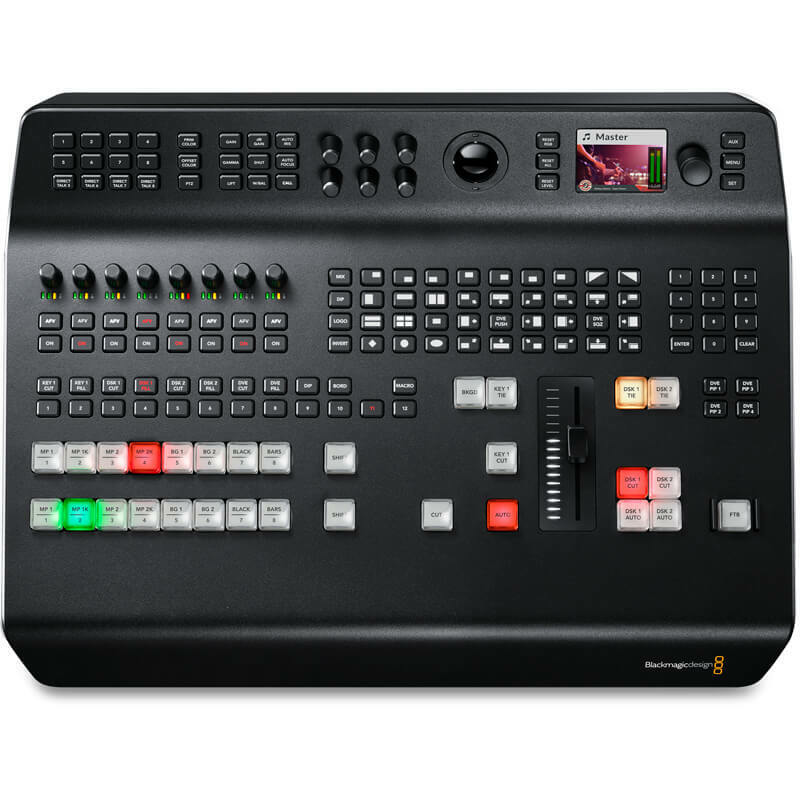 There are two types of control interface, a CCU layout for traditional camera control style, or a color corrector interface which is the same as DaVinci Resolve’s primary color corrector so you can use all your color correction skills from DaVinci Resolve for adding incredible creativity to live production.